Theatre schools are great places for children to learn to express themselves and have fun while learning to act, dance and sing. Local Mums recommend the best schools in our area. Love Theatre Arts�is a professional new musical theatre Saturday school which partakes in a journey to keeping children fit, focused and fuelled to learn. 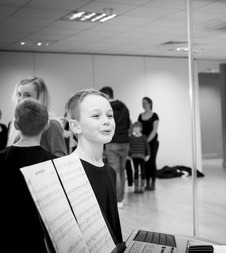 We are a company that looks to enhance children's imagination, increase their confidence and give them an insight into a genre of study they perhaps may not have attempted before, all this whilst having loads of fun in doing so through singing, dancing and acting at an affordable price. Our location is in the wonderful grounds of Cheam High school. We are based within the large dance studios which offers a great space to be able to move and dance, it also allows us a great space where we can put on small-scale productions and end of term showcases.